Gabriel's Masterpiece is a very special painting. 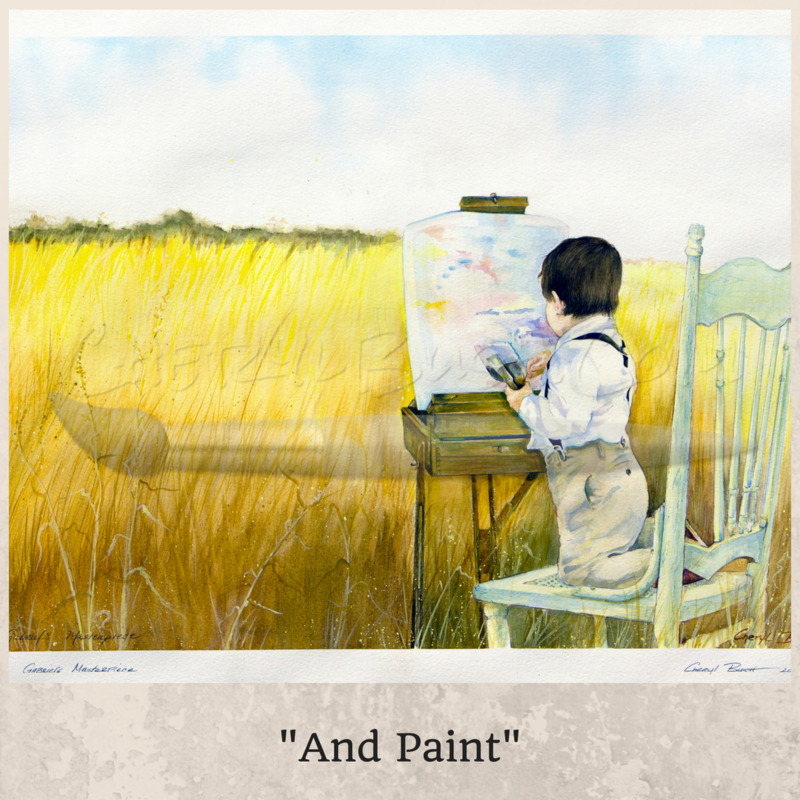 It was the first painting Cheryl had created in over 30 years. She had done some commercial style signs, lettering, and drawings...but nothing this elaborate. Her tools were very sparse. After 30 years of raising kids, all she had left were a few paintbrushes, some old paint and paper, and blue masking tape for the margins. Nevertheless, she was driven to get back into painting. And the subject matter was something she was passionate about. Here's how the picture came to be.